As per section 16, subs. 5 of the Residence Act a residence title in separate is provided to the students who are egger to attend school in Germany for a stipulated period or even for the participation in some intensive courses on languages subject to the mention of subsistence for the stay. In many websites brochures are made available and you can go through it to get the in detail information in this regard. As per section 16, subs. 5a of the Residence Act and section 17, subs. 1 of the Residence Act, nationals of third country are in a position to receive permit for residence for completing vocational qualifying training and also for taking participation in some professional training. For last situation the same needs consent of Federal Employment Agency, until and unless the position does not require any prior consent. There are Possibilities for the limited period employment which is available based on certain requirements under section 16, subs. 5a and section17, subs. 2 of the Residence Act. nationals of Third-country who are keen for studying in Germany, but failed to get admitted so far in any state or any university which is state-recognized they are in a position to get residence permit up to a period of nine months under section 16, subs. 1a of the Residence Act. The same requires the proof of required qualification for the admission. It can be received, if necessary, with participation in any entrance examination. 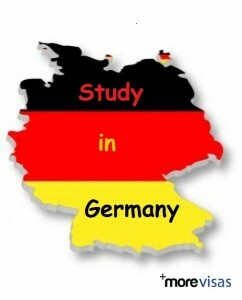 Any student of foreign university can enjoy an issued residence permit for studying in the country of Germany. The duration can be for a minimum period of one and maximum period of two years under section 16, subs. 1, and sentence 5 of the Residence Act.